Green groups are attacking staffers merely for working in Trump’s government. This is no knock on Ms. Dravis, who is a talented attorney. Rather, it’s an acknowledgment that in the grand scheme of the federal government, she’s one of hundreds upon hundreds of “staffers.” As associate administrator for policy at the Environmental Protection Agency, she didn’t need Senate confirmation. She’s no cabinet secretary and never chose a public role. But in today’s anti- Trump “resistance,” that counts for nothing. The left lost the election, lost the argument, and is losing President Obama’s precious legacy. Its response is a scorched-earth campaign against not only EPA Administrator Scott Pruitt, but anyone who works for him. Most vicious has been the retribution against Mr. Pruitt for his work to undo Obama-era climate rules. 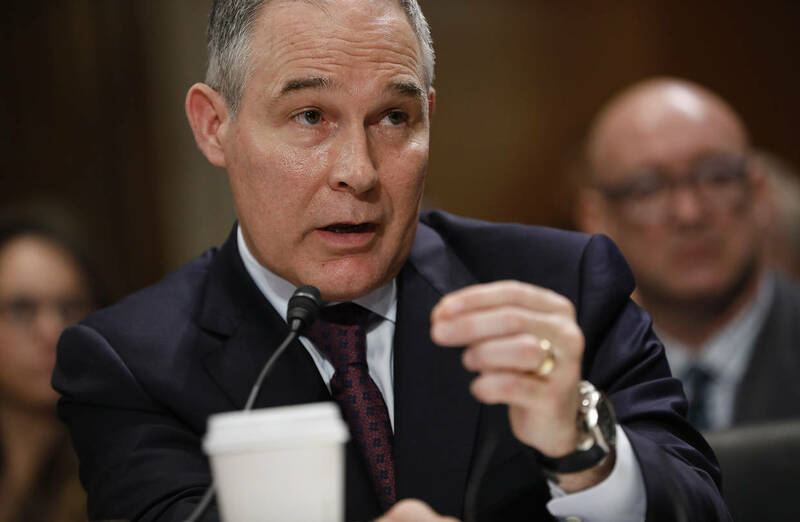 Environmentalists and Rhode Island Sen. Sheldon Whitehouse have ginned up an investigation at the Oklahoma Bar Association into whether Mr. Pruitt lied during his Senate confirmation. He testified that he didn’t use private email for work while serving as Oklahoma’s attorney general. Then out came a handful of emails, over years, sent to Mr. Pruitt’s private address. This is hardly Hillary Clinton behavior, yet Mr. Pruitt is having to pay for a personal attorney to fight the charges. The activists’ stated goal: disbarment. Meanwhile, California Attorney General Xavier Becerra is suing the EPA for documents as part of a laughable claim that Oklahoma’s past lawsuits against the agency mean Mr. Pruitt has too many “conflicts of interest” to make policy. California has no authority whatever to arbitrate such things. The federal Hatch Act sets out the rules surrounding conflicts, and the EPA’s ethics officer (a career staffer) has said Mr. Pruitt is well within that law. The suit is simply Mr. Becerra’s excuse to delegitimize Mr. Pruitt. High-ranking appointees have always been demonized, but what makes this environmentalist campaign different is its purposeful extension of intimidation tactics to anyone willing to serve in the Trump administration. Political staffers have been put on notice that they may be watched, smeared and harassed, putting future job prospects at risk. Ms. Dravis is tasked with reviewing the EPA’s current rules to ensure that they aren’t duplicative, that they live up to cost-benefit analyses, etc. The Obama administration, for the record, did the same sort of review. But Mr. Obama’s officials were never targeted like this. The New York Times even featured Ms. Dravis—a staffer!—in a picture on its front page. The story was titled, “The Deep Industry Ties of Trump’s Deregulation Team.” It essentially accused her, with no evidence, of doing the dirty work of energy donors in her past job at the Republican Attorneys General Association. When green activists are poached from the NRDC or Sierra Club to work for Democratic administrations, they are praised for having experience. But when lawyers with a knowledge of regulated industries are hired to the EPA in a Republican administration, they are assumed to be unethical. Ms. Dravis is already the subject of more than 100 Freedom of Information Act demands. Green groups and the likes of ProPublica have requested her daily schedule and tons of her email. It helps that at least some of the EPA’s 15,000 employees are happy to help with the harassment from inside. Political staffers say federal information officers are suddenly searching doggedly through email accounts themselves, rather than letting employees comply with their own FOIA requests as they did in the Obama years. Ethics officers suddenly have whole new readings of the rules. This is happening governmentwide. These columns have occasionally noted Obama staffers or officials who had been named for doing something untoward (say, conducting off-grid correspondence with the green lobby, the sort of “deep ties” the Times always ignored). But the current campaign to malign Trump staffers personally for nothing more than serving in government is a new and troubling tactic. All the more reason for Mr. Trump to avoid inflaming controversy for more than one day running, if that’s possible. Many staffers and appointees came to this administration for the cause. The president has enormous ability to provide them public backing and policy leadership—and do they ever need it.